Now’s the time for Fox to eagerly tout their upcoming Blu-ray release! Famous people got fancy and prepared for adulation at the 90th Academy Awards happened last night. 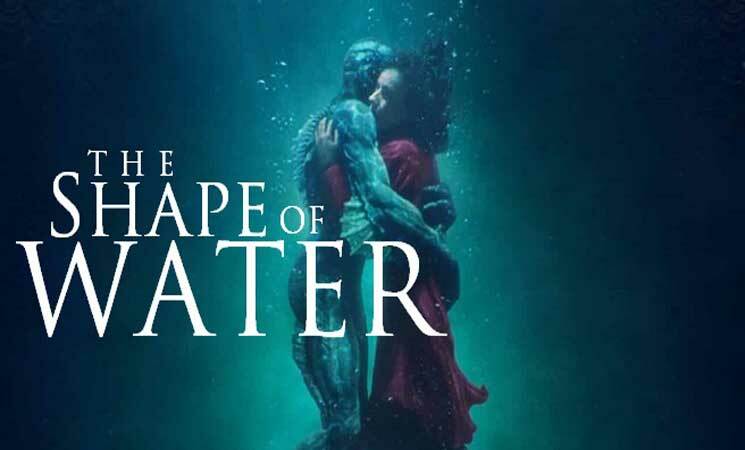 The Shape of Water, directed by Guillermo del Toro, won four Oscars: Best Picture, Best Director, Best Original Score, and Best Production Design. Such major successes will carry momentum when Shape’s DVD/Blu-ray/4K comes out on 16 March. I didn’t watch last night’s Oscars, but followed the event’s winners. Haven’t cared about its ceremony or presentation since David Letterman hosted. (Ah, the innocent days when Letterman and Adam Sandler were the height of comedy.) However, I’m happy to see Jordan Peele win Best Original Screenplay and Blade Runner 2049 win two Oscars: Best Cinematography and Best Visual Effects. The upcoming home media release of The Shape of Water seems interesting enough. I owned DVDs of Hellboy and Blade 2, and I recall listening to del Toro’s commentary. It looks to have things that’ll whet the appetite of del Toro fans: a few Anatomies of a Scene here, a Master Class there. It’s nice to see there will be a 4K Ultra HD disc and a Blu-ray 1080p disc plus digital code included though I wish I could y’all how the movie actually looks. Note also there’s a separate Blu-ray/DVD/Digital release. Will those who know about this “otherworldy fairy tale” have already seen it? Will it become a home video favorite? How much gloating will del Toro at his next sitdown interview with Robert Rodriguez for El Rey network? Did anyone enjoy The Shape of Water?